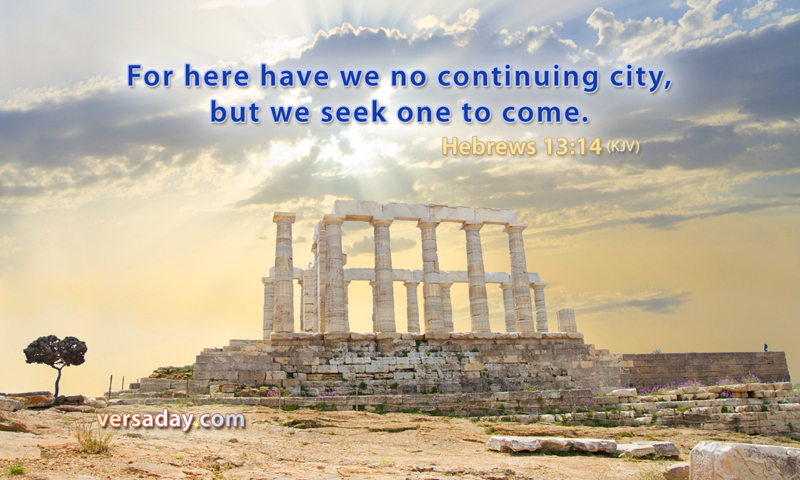 The text in Hebrews 13 picks up the comments made about Abraham in Hebrews 11, that he lived “looking forward to the city which has fixed and firm foundations, whose Architect and Builder is God.” (Amplified Bible), but it doesn’t leave it there. The next verses draw a very practical conclusion – because we have no continuing city here, we are to continually praise and thank God through Jesus, and to not forget to do good and to share with those in need. I love the link between the city that God is designing and building for us to inhabit in eternity, with us actually doing good here and now. We can conclude that we are to be creative, as He is, in doing good here whilst all the time keeping our eye on the bigger picture, the grand prize of our continuing city that is to come. Part of that “doing good” is how we build our towns and cities and societies. Jesus used an architectural picture to distinguish between a foolish man, who ignores His teachings, and a wise man, who builds his life around Jesus’ teachings. The foolish man is like someone who builds his house on the sand, and the wise man like someone who builds his house on the rock (Mat.7). The application is first to our lives, of course, but I believe it also applies to what we actually do in our lives. In other words, build wisely. However we express our “doing good”, and it will of course vary for all of us, I believe this should reflect the inherent creativity and sustainability of God’s design in creation, and that ultimately, whatever our “doing good” is, it should benefit society in general (the people who interact with, use or experience it). This is why, in this blog, as well as reflecting on Biblical themes, teachings and issues, I like to feature innovative and creative design and solutions that make life better. As it says at the top, it’s just a varied collection of my own personal thoughts and comments, but I hope you find it interesting and useful.